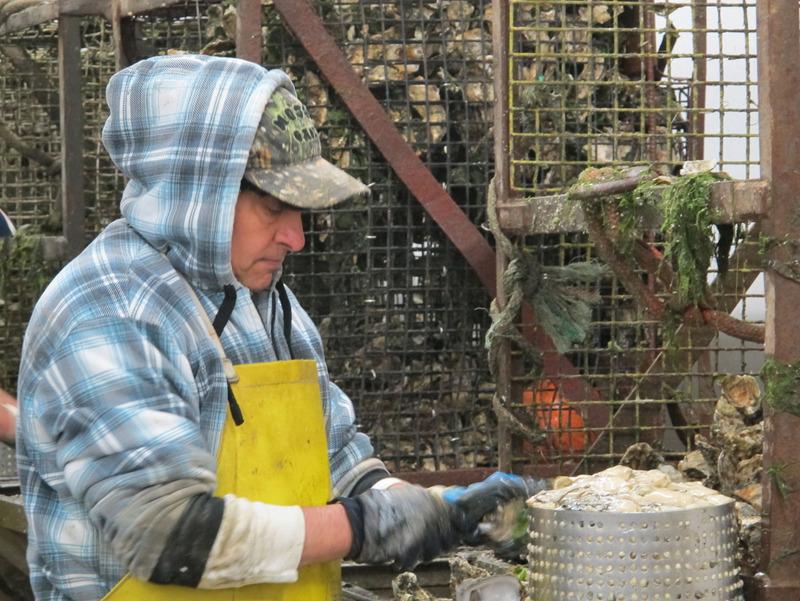 What happens to all the glistening, briny shellfish that gets pulled from the tidal flats of Washington? It comes to the Taylor Shellfish processing plant to be washed, prepared, bagged and shipped to customers around the world. The majority of Taylor Shellfish’s oysters are grown as shellstock clusters. These will be shucked for oyster meats, rather than served as cocktail oysters. 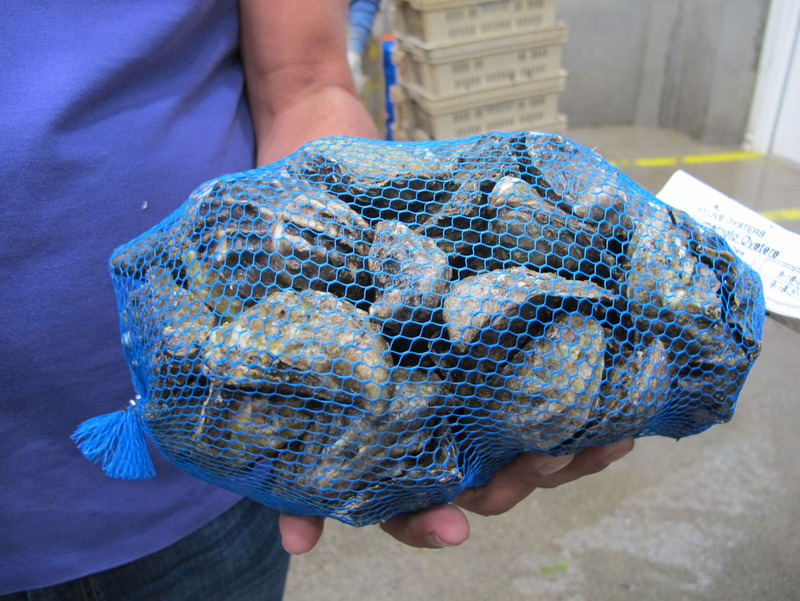 The shucked oyster meats can be used for frying, soups, Chinese-style hotpots, and more. Each shucker works efficiently and carefully to shuck oyster clusters while trying not to puncture the meats. It’s a cold, wet process. The shells will be saved and dried outdoors over the course of a year or two. Then, they will be crushed into smaller pieces and used as substrate for baby oysters to settle on. 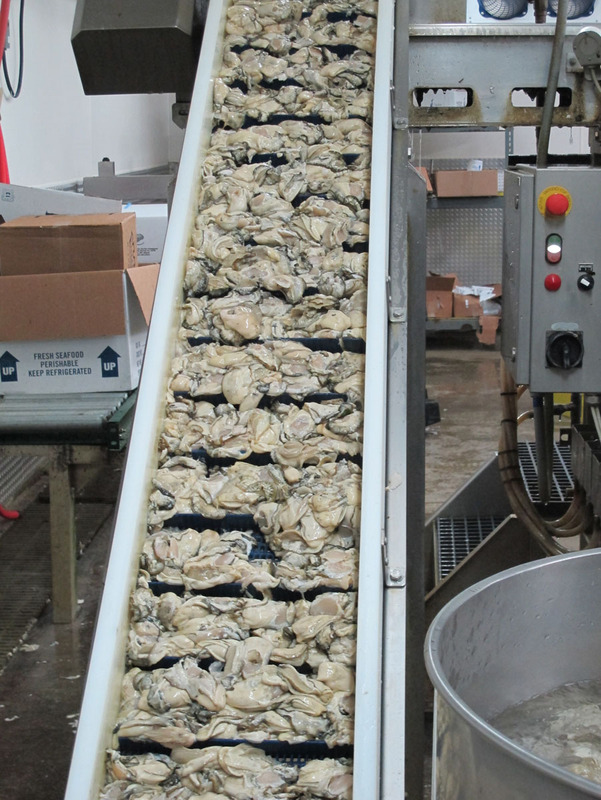 After the oyster meats are weighed, they are passed through a sorting and washing belt. 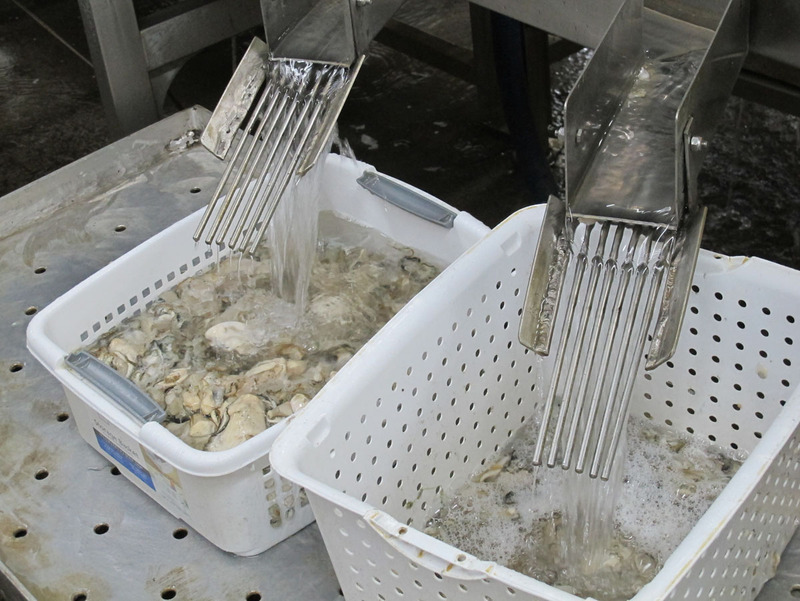 Any loose grit or shell particles will be rinsed off and the oysters will be graded by size. 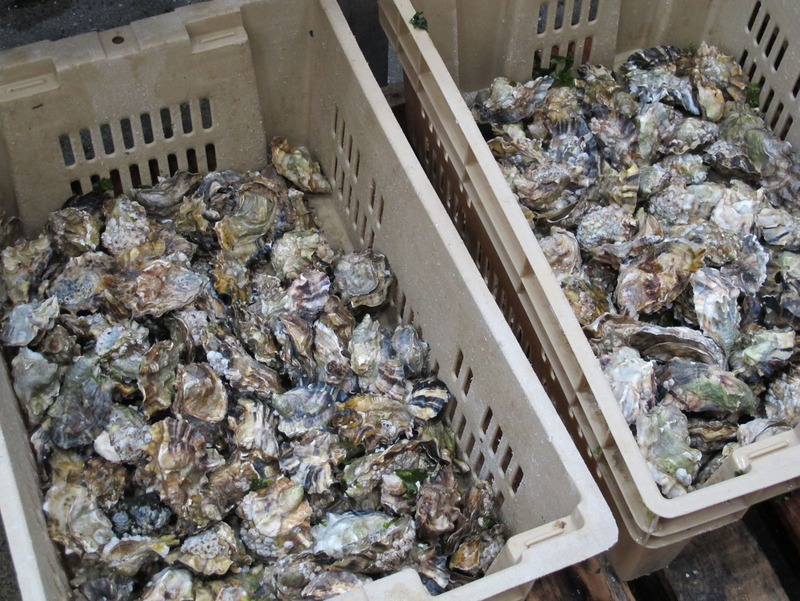 For instance, a 16 oz container includes 8-12 medium-sized oysters, or 12-18 small oysters. 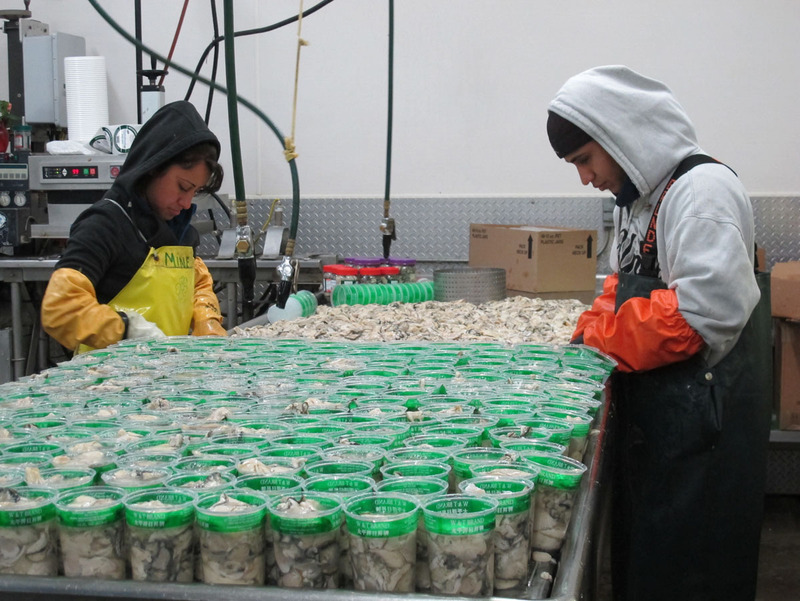 Next, the shucked oyster meats are packed into containers by hand. During our visit, the meats were actually being packed into private-label jars for W&T Seafood. Remember the dig for geoduck? 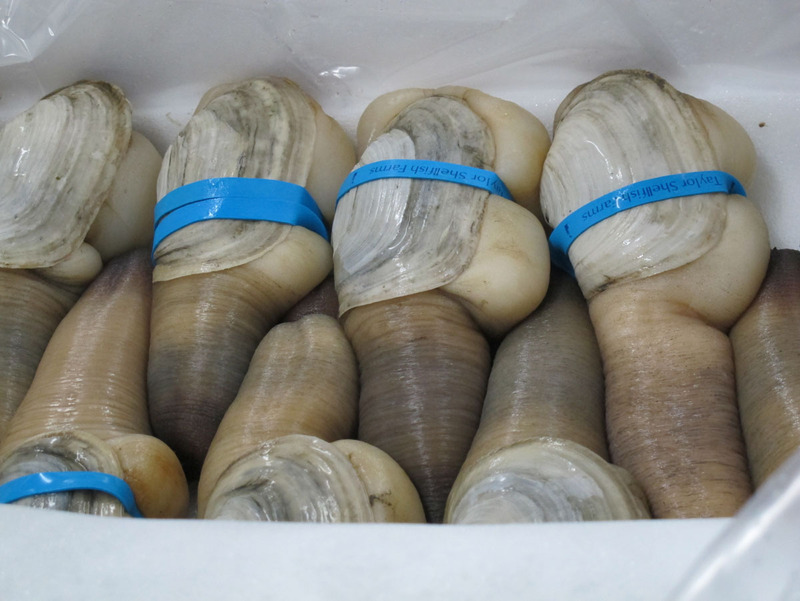 Here, we see a freshly cleaned and banded geoduck, chilled and ready for shipping. Many of these 40-lb cases will be shipped off to Asia. 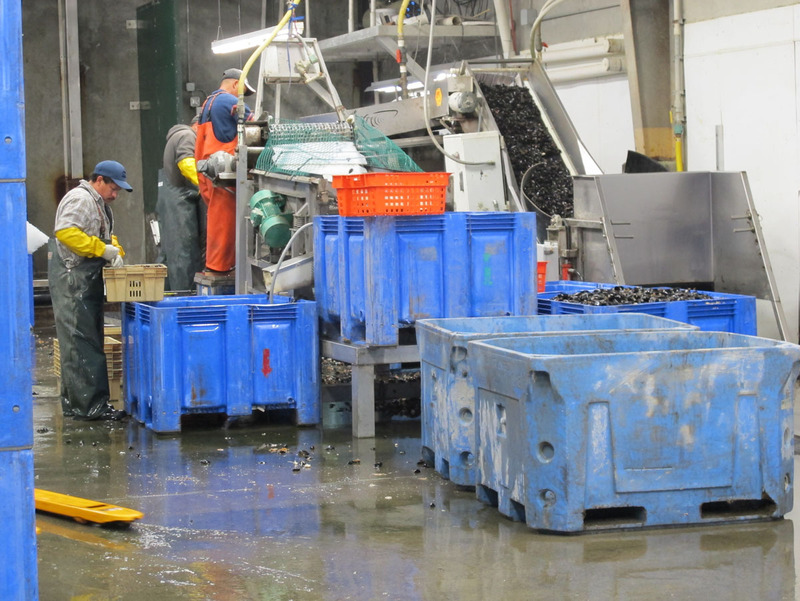 At the mussel processing line, large bins of mussels are moved into place with forklifts. 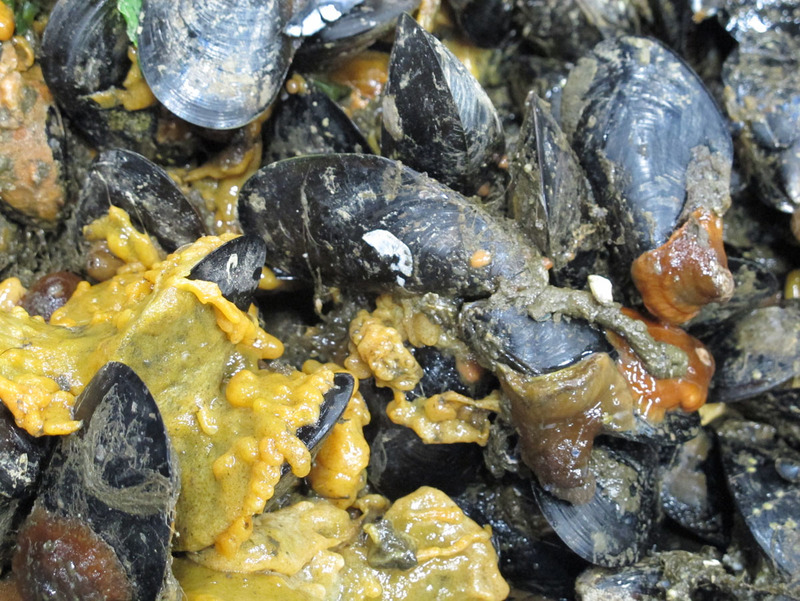 Straight out of the water, the mussels are encrusted with sponges, barnacles and other unwanted debris. 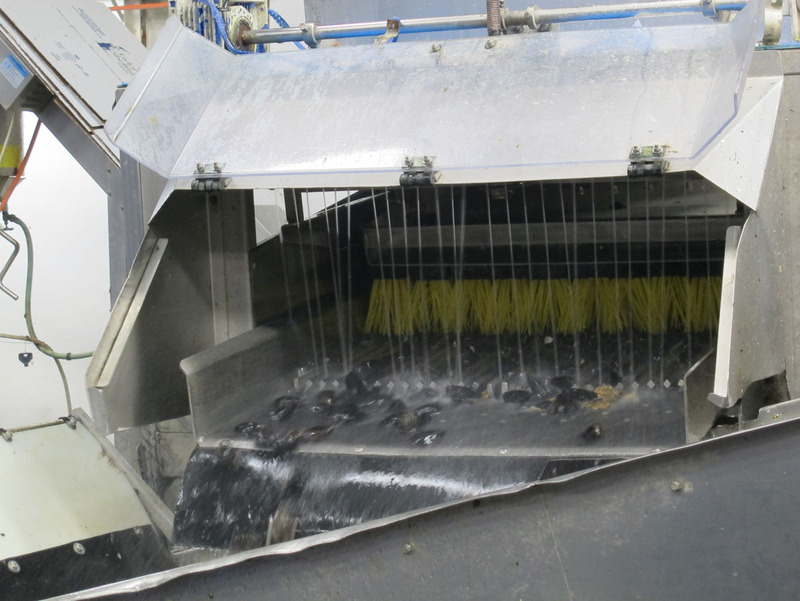 After a ride through the scrubbing machine, the mussels emerge clean and ready to be cooked. Cocktail oysters are treated in a similar fashion. They are graded by size, cleaned and carefully packed in 5 and 10-dozen counts. Finally, the oysters are tagged and shipped to purchasers and distributors like us!